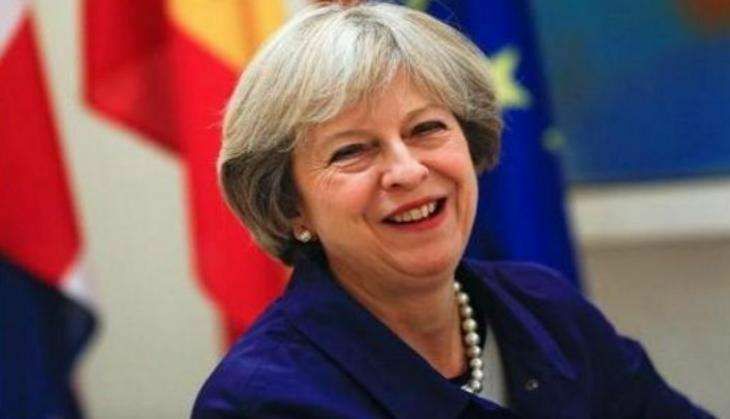 British Prime Minister Theresa May, on her first bilateral visit outside Europe, will visit India on 6 November. May will hold talks with her Indian counterpart Narendra Modi and review all aspects of the India-UK strategic partnership. The three-day visit was announced, on 16 October, by the External Affairs Ministry. "This will be her first bilateral visit outside Europe. She will hold talks with Prime Minister Modi and review all aspects of India-UK Strategic Partnership. The Joint Economic and Trade Committee meeting will be held on the sidelines of the visit," the Ministry said. During the visit, Prime Minister May alongside Modi will inaugurate the India-UK Tech Summit in New Delhi jointly hosted by the Confederation of Indian Industry and the Department of Science and Technology, Government of India. "The Summit will be an opportunity for the two sides to strengthen business to business engagement in the areas of technology, entrepreneurship and innovation, design, IPRs and higher education," it said. The two sides had agreed to hold the summit during Prime Minister Modi's visit to the UK in November 2015. The India-UK partnership has since moved into a new era, with Britain voting to leave the European Union (EU) in a referendum in June and leading to the resignation of then Prime Minister David Cameron. May, 60, as the post-Brexit leader of the country, has often mentioned India among the priority countries for a free trade agreement to boost the UK's ties outside the EU. "Countries including Canada, China, India, Mexico, Singapore and South Korea have already told us they would welcome talks on future free trade agreements. And we have already agreed to start scoping discussions on trade agreements with Australia and New Zealand," she had told the Conservative party conference earlier this month. Therefore, trade is expected to feature high on the agenda during her India visit.